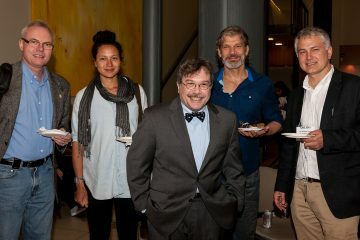 The Neglected Global Diseases Initiative was pleased to present an evening with world-renown global health expert, Dr. Peter J. Hotez. He is Dean of the National School of Tropical Medicine at Baylor College of Medicine as well as a professor in the Departments of Pediatrics and Molecular Virology and Microbiology. He holds an Endowed Chair of Tropical Pediatrics at Texas Children’s Hospital and is the Baker Institute’s Fellow in Disease and Poverty. Hotez is also president of the Sabin Vaccine Institute and Texas Children’s Hospital Center for Vaccine Awareness and Research, where he leads a partnership to develop new vaccines for hookworm, schistosomiasis and Chagas disease. He also co-founded the Global Network for Neglected Tropical Diseases to provide access to essential medicines for millions of people worldwide. 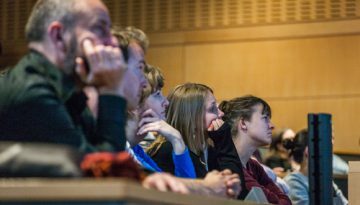 He is the founding editor-in-chief of PLoS Neglected Tropical Diseases and previously served as president of the American Society of Tropical Medicine and Hygiene (ASTMH). 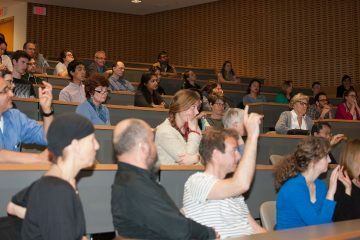 Author of more than 300 original papers, Hotez also has written or edited 10 books, including “Forgotten People, Forgotten Diseases” (ASM Press, 2008). And finally, he has recently been named by the U.S. Department of State as one of four eminent scientists who will serve as a U.S. Science Envoy starting in 2015. 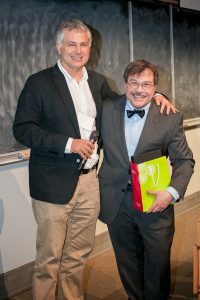 Link to Centennial Session on Global Health Featuring Dr. Peter J. Hotez. 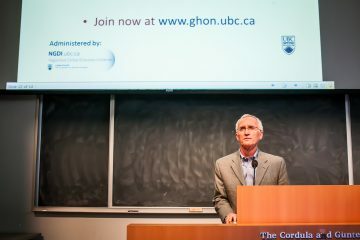 Once again we thank our co-sponsors for the event: the UBC Centennial Fund and the Peter Wall Institute for Advanced Studies. Peter Phillips, Head, Infectious Diseases introducing Peter Hotez. Rich Lester presenting Peter with gift. 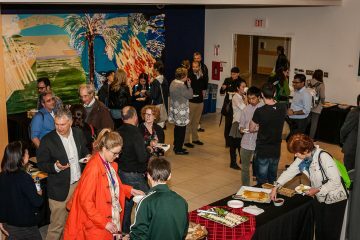 About 75 attendees enjoyed networking over snacks in the foyer before and after the talk. Dr. Hotez held quite an interactive session.